Betty Lynne Davidson is planning her husband’s funeral while overlooking one thing: he’s not dead. 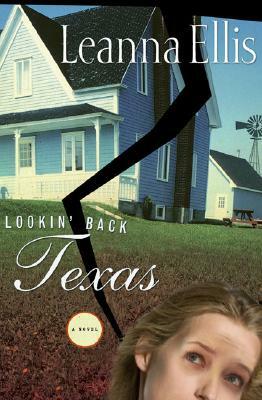 When Suzanne Mullins, forty-two, gets the call from her father to come back home to Texas because her mother has gone off the deep end, she knows it will mean having to look at the faulty foundations of their marriage as well as her own. Betty Lynne has always upheld a perfect facade of home and family, and Suzanne has followed suit. But her life with husband Mike and son Oliver is cracking under the pressure of its own unspoken history. Looking her past in the eye once and for all, Suzanne hopes that trusting in God’s love and mercy will set all of this craziness straight—even if it does mean having to watch her father give the eulogy at his own funeral. "What a hoot! Leanna Ellis has a gift for storytelling and for quirky, fun, eccentric characters entirely true to the human experience." "An entertaining tale, full of rich characters and a deep lesson about healing the past. Leanna Ellis is on my reading list from here on out." "A wacky, off-the-wall read that’s spiritually right on target!" "In a smooth pairing of wit and grit, Leanna Ellis weaves a tale of flawed relationships and crippling regrets with wonderfully timed comedic threads. A fresh, clever look at the audacity of love that forgives."